In these tough times, there are ways to keep a little more of your money in your pocket. 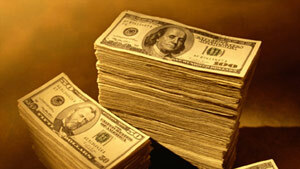 New York (CNN) -- If saving money in 2010 is on top of your list, we have some simple ways you can cut costs. Cell phones are a big expense for a lot of folks. The cost of an average plan is $65 per month or $780 a year, according to Myvalidas.com. Chances are you're overpaying. Consumer Reports says about two thirds of people didn't use half the minutes they had available. So make sure you take a look at the minutes and texts you've used in the past six months and compare that to your plan's limits. If you're not even close to maxing out, it makes sense to shop around for other plans. Switching could save you up to $300 a year. Billshrink and Myvalidas.com are two Web sites that analyze your current bill for errors, help you recover money from overcharges and compare your current plan with other plans that may help save you money, depending on your usage. And here's something you may not think about. Let's say you have an unexpected life event ... maybe a birth, a death or an illness. Your cell phone usage is likely to spike. But rather than pay an exorbitant overcharge for a single month of use, ask your carrier about letting you switch temporarily to a higher minute plan. Then switch back when your usage abates. The average premium on car insurance is about $1,800 per year, according to Insurance.com. But there are ways you can whittle down that bill. First, auto insurance companies want to know how safe you are. It's not only how safe you are on the roads. They also want to know how stable you are as a person. The longer you've held the same job, the higher your education level, the fact that you own a home -- that all counts toward what kind of risk you represent. The safer you are, the less money you'll pay in premiums. So, if you've bought a home, gotten your master's degree, if you've found a job you've been with for over a year, make sure you let your insurance company know -- and ask to be repriced. You could save up to $750 a year, according to Insurance.com. Here are some other discounts you don't want to leave on the table: A low mileage discount could save you $100 a year. This is a great option if you drive less than 10,000 miles a year. If you have a good student, cut down on those insurance costs with a good student discount. That could save you $300 a year. Raising your deductible can yield you $200 to $400 a year. And shopping around before your current insurance policy expires can save you $250 a year, according to Insurance.com. If you have old CDs or DVDs or books you don't want anymore, trade them for new stuff online. Check out swapadvd.com and paperbackswap.com. If you're looking for cheaper seats to a concert or sports event, check out zebratickets.com. This site aggregates prices from different ticket retailers. Did you know that your AAA membership can get you more than roadside assistance? You can get discounts at retailers like Target.com, Pearle Vision or Sears.com. CNN's Jen Haley contributed to this report.